The worldwide scandal about Facebook’s leakage of information does not cease. It turned out that a private data analysis company collected the personal information about 50 million Facebook users and used it without permission. As a result, it is purported to have had an influence on American presidential elections. Facebook shares fell by $58 billion during one week, and indignant users launched a flash mob under the hashtag #deletefacebook, calling for the removal of their accounts from the social network. Facebook CEO Mark Zuckerberg promised to make the service safer and reduce the amount of information requested from the users. But history has already made users think about the digital security of personal data in the world wide web. In this article, we will explain how to protect your sensitive personal data on the Internet. The best way to prevent social networks from collecting information about you is to stop using them. If this seems to be impossible for you, please take time to set up the security configurations of your social network accounts. For example, in Facebook, you can prohibit third-party companies to collect your data. For this, go to the Settings page → switch to the Applications and Sites section → delete the apps and sites that request your account information. To keep your data private, disable collecting cookies by web pages. In most browsers, cookies can be disabled in the Settings. Another way to avoid leaving digital traces is to use the Incognito mode in the browser. This will not preserve the browsing history and information inscribed on the sites. It’s also worth ignoring banners and pop-ups on sites and suspicious links in e-mail messages. The information about hobbies, location and work schedule can be successfully used, for example, by thieves. That’s why you may want to refrain from sharing photos with geotags from travels after your return. To maximally secure your information, you should publish minimum information in social networks. Do not click on advertising links and do not take entertainment tests – they also collect information about the users. Take care of your data, especially when you buy something online. Online stores ask for information such as name, surname, phone number, delivery address, bank card number, and so on. 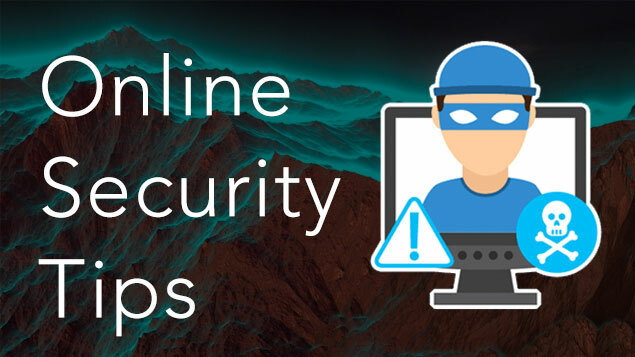 To prevent this information from being used by cybercriminals, first of all, you need to select only proven online trading platforms, and carefully study the reviews about the store before purchasing. Please, read our previous article about how to shop online safely. Whenever possible, make sure that the web pages you visit are “HTTPS” encrypted. Look at the beginning of the web address you are accessing. If the URL starts with “HTTP,” log out and never enter sensitive data to this page. Keep track of where and when you entered your account. Social networks, mail services and messenger applications can inform you when someone is trying to access your account. If there are no automatic notifications, you can usually see the list of recent sessions (logins to your account) in your account settings and block the ones which seem to be suspicious. Install additional protection against unauthorized logging into your accounts. For this, you need to enable two-factor authentication. If you enable this feature, then at the login to your account you will need to enter not only the password but also a one-time code you receive either via SMS or email address. Be anonymous on the network. To do this, you will need to use a VPN (Virtual Private Network). This technology allows you to access Internet resources so that no one knows your real IP address and your current location. This is important if you want to keep your location secret. Generally, a virtual private network is a technology that provides a high level of security of your personal data. And now we are going to highlight how a VPN works and how it can help you in personal data protection. VPN is a virtual private network which protects the transmitted data from any external interference. The data is encrypted according to a certain algorithm, which is almost impossible to crack. Instead of the real IP address, each user gets a new virtual IP address so that all services recognize the user according to the assigned VPN geolocation. With a standard connection to the Internet, all the data about pages you visit, including some personal documents, can be viewed by your Internet service provider (ISP.) Also, this information can be intercepted by hackers. But if you use a VPN, every time you access the network, it creates a protected VPN tunnel between your computer and the remote server. This forms a shield of protection from hackers, government agencies, and other persons who may wish to inspect your traffic and data. 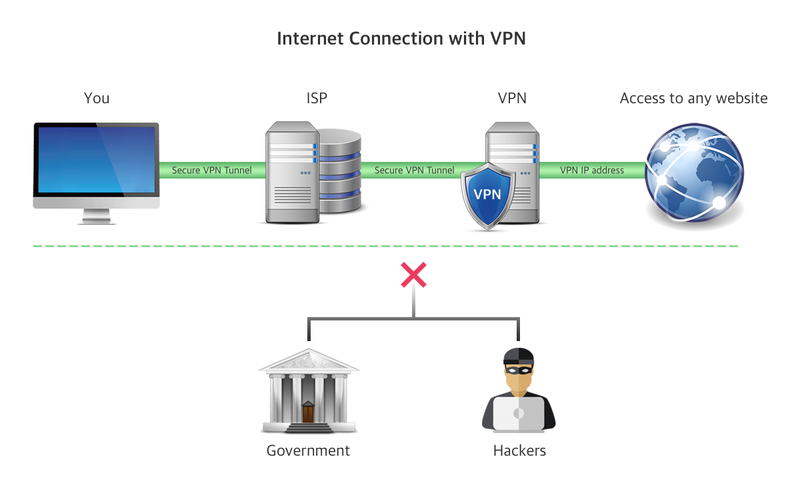 When using a VPN, you connect to the Internet through a VPN server. Your ISP does not see where you go and what you do on the Internet. The user’s address depends on the selected VPN server. For example, if you are in the USA, you can hide your real IP address and replace it with a virtual address (European, African or Asian IP). Here is an illustration of how a VPN works. Which VPN service to use? When you need to choose a VPN service, you have to approach this task responsibly. In short, the VPN provider should provide a wide list of VPN servers, fast VPN connection speed, no logs policy and the latest technologies of secure encryption of your data. Given all these parameters, we recommend that you try VPN Client for Mac. VPN Client provides strong encryption and highly secured protection of your traffic. Download VPN Client from the Mac App Store and get a free 7-day subscription plan. Prev:Websites blocked in China. How to unblock them?